Combined file photos of (from L-R) Yumna Maumoon, Ahmed Faris Maumoon, Dunya Maumoon and Mohamed Ghassan Maumoon. 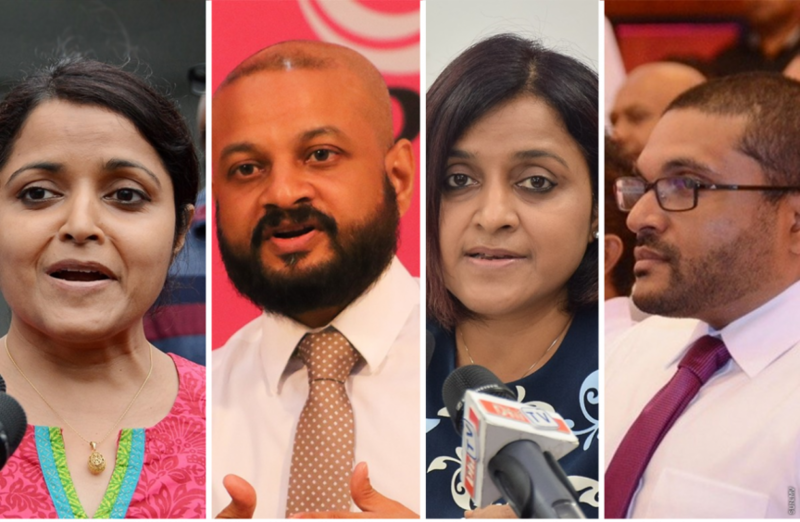 RCC won the lawsuit against Maumoon’s children; Dunya Maumoon, Yumna Maumoon, Ahmed Faris Maumoon and Mohamed Ghassan Maumoon over failure to pay the construction fee for a property under their names in 2017. Meanwhile, an official from RCC who spoke to ‘Sun’ said the case had been settled in the company’s favor following the failure of the attorneys of the appellants to show up in court.